Join us for a tour of Making Africa: A Continent of Contemporary Design and explore how design accompanies and fuels economic and political change on the African continent. The exhibition Making Africa: A Continent of Contemporary Design presents Africa as a hub of experimentation generating new approaches and solutions with worldwide relevance—and as a driving force for a new discussion of the potential of design in the twenty-first century. Organized by the Vitra Design Museum and the Guggenheim Museum Bilbao, Making Africa showcases the work of over 120 artists and designers from and within Africa working in an exhilarating range of media including sculpture, fashion, furniture, architecture, film, photography, apps, maps, digital comics, graphic and web design, and more. 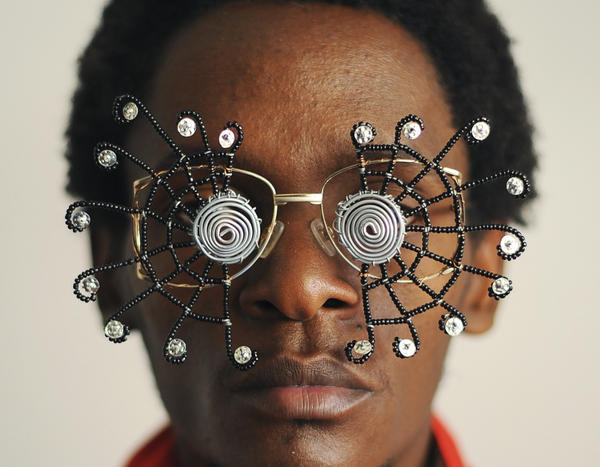 The exhibition offers a vision of Africa in the twenty-first century as a place of unbounded optimism, rapid growth, and massive cultural transformation. Join us for a tour of Making Africa at the Blanton and explore how design accompanies and fuels economic and political change on the African continent. Space is limited; tours will begin at 2:00, 2:45, and 3:15 p.m. Founded in 1963, the Blanton Museum of Art holds the largest public collection in Central Texas with nearly 18,000 objects. Recognized for its modern and contemporary American and Latin American art, Italian Renaissance and Baroque paintings, and encyclopedic collection of prints and drawings, the Blanton offers thought provoking, visually arresting, and personally moving encounters with art. *tours will begin at 2:00, 2:45, and 3:30 p.m. Parking is available in the Brazos Garage. Bring your ticket to the museum and pay the discounted $4 rate. The closest bus stop for the (1) & (3) bus routes is at Lavaca and 17th Streets and the (801) and (803) stop at Museum Station. We are on the crosstown MLK (18) route.